Day 030 | What is Extended Replacement Cost? The storm that rolled through last week took your home and several of your neighbors. The demand for construction is on the rise. Your home is insured for $200,000. After meeting with your contractor you learn to rebuild your home exactly like it was will be $215,000. Where do you plan to come up with $15,000? Good news! 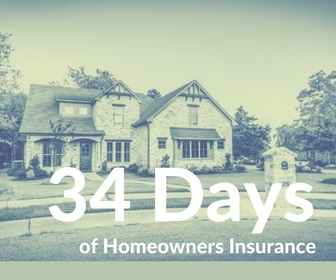 Your homeowners policy comes with Extended Replacement Cost coverage. Extended Replacement Cost generally provides an additional 120 – 125% above your policy limit to replace your home. Quick math would look like this: You insure your home for $200,000, Extended Replacement Cost may provide 125% = you would have up to $250,000. It’s only as needed. The Joplin tornado was devastating. A disaster like that could easily increase the cost of construction over night. The next time someone says insurance is insurance…it’s all the same….no, it’s not the same. Extended Replacement Cost is a perfect example. It does not come with all homeowners policies. Not all insurance companies offer this.